The European Union's General Data Protection Regulation is about to turn privacy and compliance on its head throughout the world. Just because you don't do business directly in the EU, that doesn't mean GDPR won't impact your business. 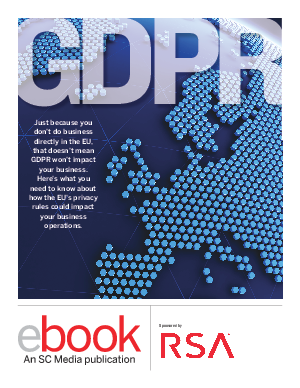 This must-read report featuring insights from respected legal and security experts outlines specific GDPR compliance challenges you probably haven’t considered. It also highlights the unusual circumstances that could compel your company to comply, and offers specific examples of the law’s rigorous documentation requirements.